Learn the top essentials for beginner sewers. 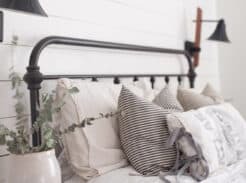 This list is super short and easily affordable. I get asked all the times all the time what the essential items are for a beginner sewer. They really are quite simple and can be lumped into one sentence. They also do not take up a lot of room. 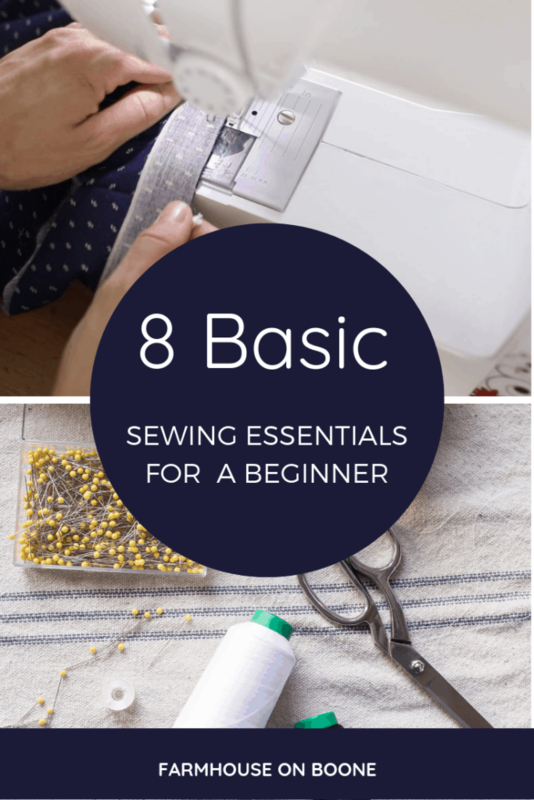 This post is for all the people who have no idea what they need to begin sewing. 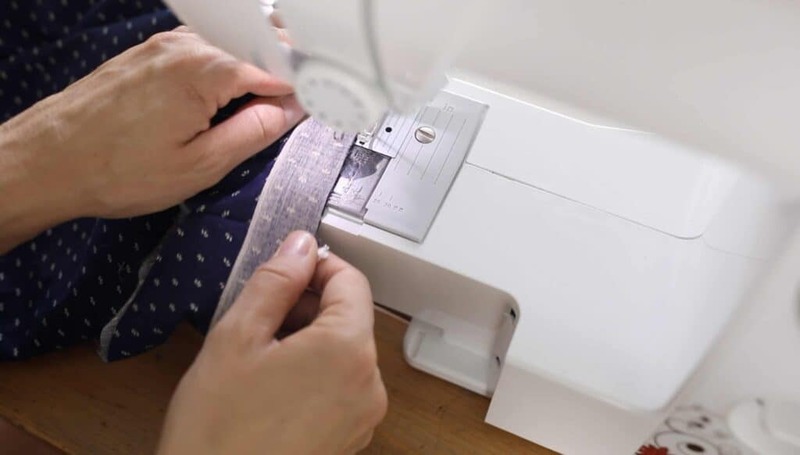 Get the rest of the Simple Sewing Series in this playlist on Youtube. I get asked all the time what sewing machine I own. The brother sewing machine we use for my shop was actually discontinued, but I would recommend this Sewing Machine for a beginner sewer. I actually use this Sewing Machine often because my employees are using the one upstairs, so I bought one similar like this one at Walmart. I use a large spool of white thread because I sew a lot, so it takes me quite a while to go through this one thread. Just grab an all purpose thread. I sew nearly everything in white, but it would also be good to grab a black and navy blue. If I am sewing on a fabric that is very dark, like denim for example, I will reach for navy instead of my trusty white. I like the way a nicely stitched topstitch looks in white on a floral print, stripe patter or light fabric. It’s rare I actually switch out the colors. You will also need a few empty bobbins to put in the lower part of the machine. Don’t worry I’ll show you how to actually wind them and load them into the machine in the next lesson. Having extra sewing machine needles around is super handy to have on hand if your sewing machine needle breaks. This happens especially when I am making something with many layers of thick fabric, like when I am putting piping into a handmade slipover. 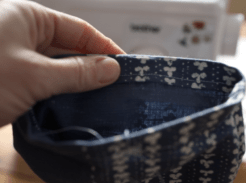 One of the most important things a beginner sewing needs to have in their sewing box is sewing scissors. As a sewer, I value a scissors that are sharp and can cut through thick fabric. If you buy the nice ones, you can sharpen them often, and keep them for the rest of your life. That is if your kids don’t steal them first! You will need a tape measure nearly every single time you sit down to start a project. 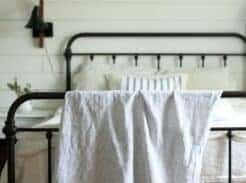 Whether it is measuring your daughter to determine the length of a dress, cutting out the right width of fabric to cover a 20″ pillow form, or measuring your windows to find out the curtain size. Yep, a tape measure is important. Keep a few on hand, because I promise you those things disappear when you least expect it! Pins are very important to help hold the fabric in place while sewing. I have several boxes of Pins because they seem to disappear around here like socks out of a drier. I also need a ton when I am doing a large project, like a custom slipcover. 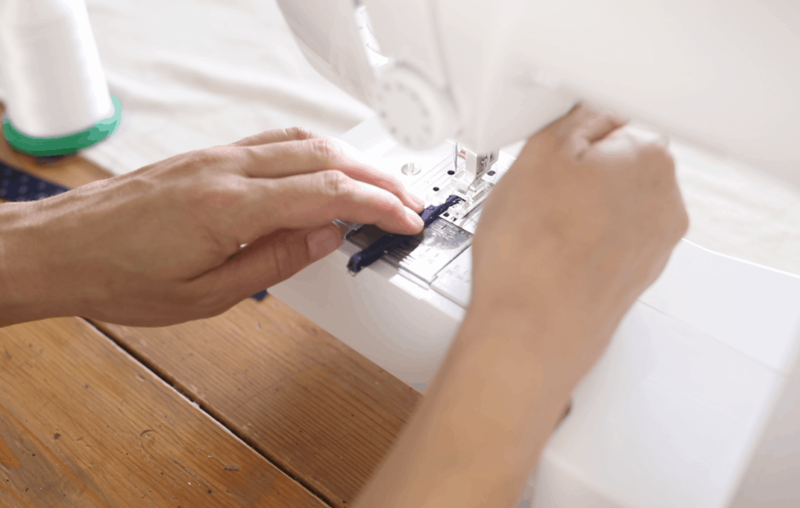 You will need a steam iron to create hems in your projects. I also use an iron on occasion to press seams flat. 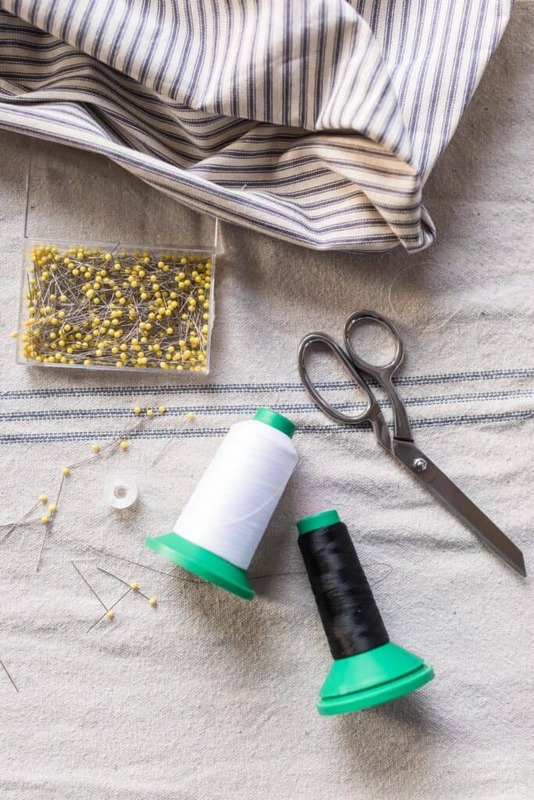 Sewing is the only time I actually really use an iron, but I couldn’t be without one! I am so happy that I own a serger. I actually own one because we use it in my farmhouse inspired soft goods shop to give a nice finish to our products. I find this serger is super handy to have around when I am sewing so that each of my sewing projects has a nice finish. Having a nice finishing stitch also helps the fabric fibers not to unwind in the washer and drier. I absolutely love having a serger in my sewing room. Not only do we use this weekly in my shop, but my girls also use the Embroidery machine to monogram presents for friends. I also used it to monogram pillows for my girls room makeover. And that’s it! Were you expecting something else? Collecting these simple items is really quite easy. My biggest trouble is a pedal that races. So I can’t seem to get that slow even sewing pace. Does it need adjusting or servicing or lubing? Very frustrating to constantly be ripping out seams. ZIPPERS and how to install them!! They are my nemesis! I just had my old sewing machine serviced a few months ago. This is perfect timing!! Buttons! I’m getting back into sewing (I LOVED it as a kid) and my grandma taught me everything. I remember a lot, but for the life of me cannot remember how to sew nice button holes! Help!!! Perfect Timing! Can you talk about tension. My thread always bunches up. It’s like you wrote this post for me! I’ve wanted to get into sewing but felt so intimidated.